Phone the BBC for general enquiries by dialling their UK contact number 03700 100 222 where you can confirm TV listings for upcoming programmes, submit an entry to a radio phone-in competition and to directly speak to a member of staff at your local station. Here you can also give an opinion or further details about a story to be broadcast on their dedicated news channel. Furthermore if you would like to be in the audience for one of their notable programmes including Question Time, Have I Got News For You and Strictly Come Dancing then you can call their helpline to place a request. Likewise performing artists can call this helpline to submit music tracks to be featured on the appropriate radio station. Moreover if you would like further details on how your television licence is spent within the BBC then you can call this helpline to order an informative booklet. Calling the BBC on their national enquiries phone number 03700 100 222 will cost the same as making a local-rate call to telephone numbers starting with 01 and 02 prefixes, which correspond to a specific area code. This means you will be charged a per-minute fee and access charge unless your provider has given you the use of inclusive minutes as these can be used to call 03 helplines for free. Please note that if you are hard of hearing you may call their dedicated textphone number 03700 100 212 to message BBC advisors. Lines are open 24 hours a day however an automated service will be in effect outside of conventional office hours of 9am-5pm Monday-Friday. 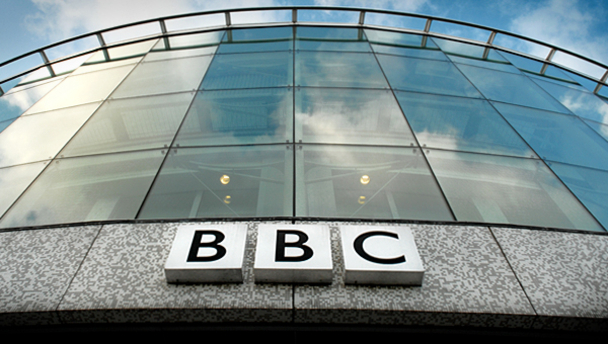 Call the BBC to give feedback about a TV or radio programme by calling their telephone contact number 03704 101 060 which is particularly useful for new shows as it allows their editorial staff to evaluate and make changes. Moreover you can phone this number to point out historical inaccuracies and to suggest a correction for an incorrect news article. Contact BBC Cymru Wales by dialling their phone number 03703 500 700 for enquiries about their Welsh-language programming, to submit opinions about a local news story which affects the area and for help if your television receiver is not picking up their channel. Furthermore you can call this helpline for the upcoming schedule of Welsh rugby matches broadcast in conjunction with S4C. Cysylltwch â BBC Cymru Wales trwy ddeialu eu rhif ffôn 03703 500 700 ar gyfer ymholiadau am eu rhaglenni Cymraeg, i gyflwyno barn am stori newyddion lleol sy’n effeithio ar yr ardal ac am gymorth os nad yw’ch derbynnydd teledu yn codi eu sianel. Yn ogystal, gallwch ffonio’r llinell gymorth hon ar gyfer yr amserlen sydd i ddod o gemau rygbi Cymru a ddarlledir ar y cyd ag S4C. Phone the BBC Technical & Engineering team by calling their department-specific contact number 03700 100 123 if you are having difficulties tuning in to their TV or radio programmes. You should also call this helpline if BBC channels are not working despite other networks continuing to broadcast, as their infrastructure may have incurred a fault. Moreover you can call this helpline for careers advice and to apply for their masters degrees in technical engineering. 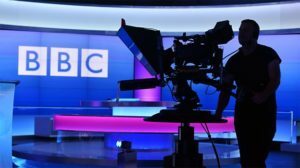 As the national broadcaster you can expect to be able to contact the BBC in a way which suits your schedule, hence they offer postal and email addresses for written enquiries. Moreover they have various social media profiles where they advertise changes in television listings and new series. If you wish to email the BBC you should first visit their contact listings portal where you can find links to popular programmes, radio shows and TV watchdogs for you to send written correspondence via the web. The BBC run numerous profiles on popular social media websites to promote their latest TV series and to notify viewers about changes in their channel scheduling. Please remember not to include sensitive personal details when posting public messages including your address and contact details.